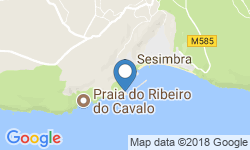 Go Fishing Portugal invites you to join them on a fishing adventure of a lifetime in the waters of Sesimbra, Portugal. This beautiful seaside town offers spectacular views from the water. Sesimbra is located just 30 minutes by car from Lisbon. You will fish with Captain Victor Ganchinho who loves teaching his guests to fish more than catching fish himself! The fishing in Sesimbra is spectacular. 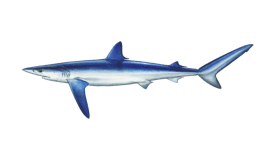 It is done in the Atlantic Ocean that offers a wide variety of inshore and offshore species. 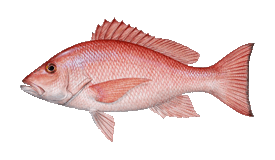 Here, you can target Red Snapper, Seabream, European Seabass, Blue and Mako Shark, Tuna and more local species. Using trolling jigging, spinning, and drift fishing, you are bound to have a lot of fun. 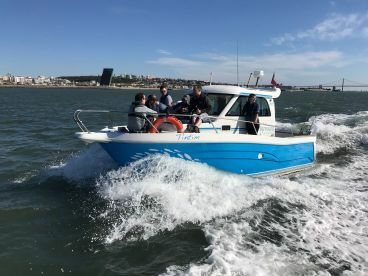 Captain Victor will take you out aboard a brand new 2016 Rodman Venture 890, equipped with two 200 HP Honda engines with a maximum cruising speed of 42 knots. The vessel features a toilet, a microwave, a freezer, two beds, and all the safety equipment necessary. 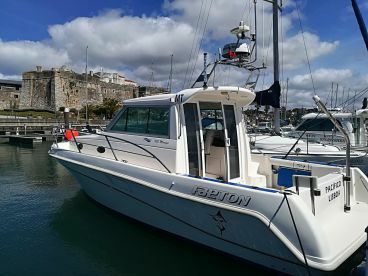 There is also a Garmin GPS and a fishfinder on board to help locate the most productive spots, a livewell, and a freezer. Go Fishing Portugal only carries the best fishing gear including Daiwa, Penn, Shimano, Smith, Xesta and Rapala. 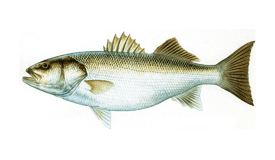 All fishing gear is included in the price, and bait as well, for free. Everybody needs a fishing license that cost €5 (don’t worry, your captain will handle everything!) Please note, children under the age of 16 do not need fishing licenses. The crew practices Catch and Release. If you want to keep some quantity of fish for dinner, that is up to you. Unwanted fish is donated to a local children’s charity. Basic catering with sandwiches and water, beer, and wine, is also included in the price. 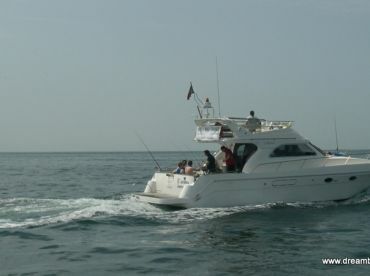 Boat and crew included for an unforgettable ocean fishing experience, with your group only. 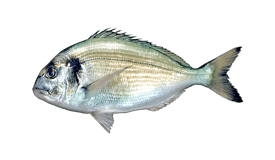 You'll fish for Shark, Dentex, Snapper, Seabass, Amberjack, Seabream and more. Catering VIP included (Fresh oysters, cheeses, fruit, French champagne, green wine, beers, water and soft drinks). 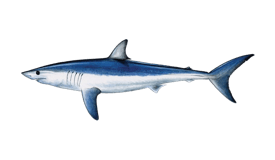 Portuguese fishing licenses included. Full or Half Day…You Decide! Boat and crew included for an unforgettable ocean fishing experience, with your group only. 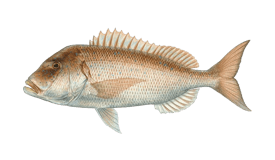 You'll fish for Shark, Dentex, Snapper, Seabass, Amberjack, Seabream and more. Basic catering with sandwiches and water, beer, and wine, is also included. 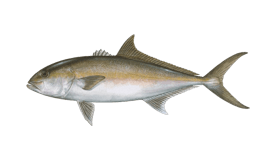 Portuguese fishing licenses included. Rodman (Cruiser) ursprünglich im Jahr 2016 gebaut. Angetrieben von 2 200HP Honda Motoren mit einer maximalen Reisegeschwindigkeit von 37.8 Knoten. Anzahlung nicht rückzahlbar unter normalen Umständen. Wenn der Kapitän die Reise wegen unsicheren Wetterbedingungen nicht durchführen kann, kann Ihre Buchung auf ein anderes Datum verschoben oder kostenlos storniert werden. I am 54 years old and I started fishing when I was 6 years old. I do around 120 days at the ocean every year. For me, it's very important to teach everything I know during all these years. That´s why I do prefer to take with me people without any experience at the ocean. It´s a different world and I really appreciate to show it for the first time. Customers enjoy a lot the places we visit and find it easy to catch a nice fish. All the equipment we have is top quality, Daiwa, Penn, Rapala. At the end, we offer some of the fish caught to an institution that cares about children. It´s possible to prepare a lunch with the fish that we catch.